Sprintek supplies low cost, space-saving pointing stick mouse encoder ICs with rich features to meet the needs of laptop and portable device OEM. Sprintek owns the whole IP of our pointing stick products and can customize our products to your applications. 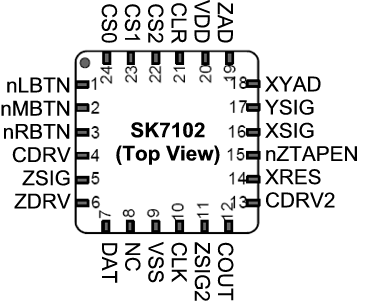 The SK7102 FlexPoint™ pointing stick mouse encoder is a cost-effective, space-saving and highly integrated IC that interfaces a force-stick sensor to PS/2 port. 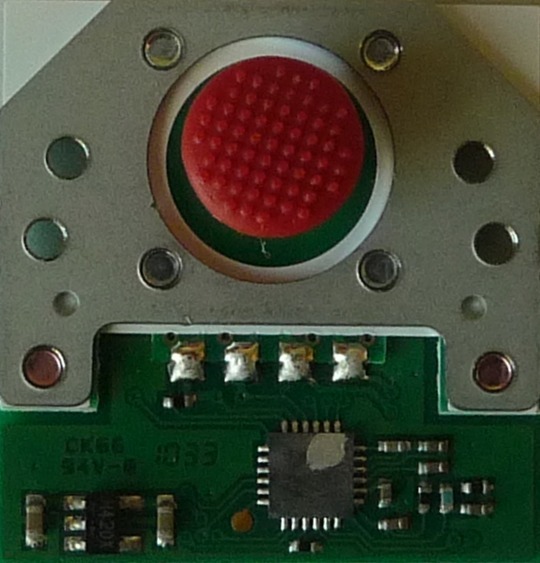 The SK8702 pointing stick module is a cost-effective, space-saving PS/2 mouse device deploying a Sprintek SK7102 pointing stick controller. Typically, consuming 650uA in idle state, the SK8702 is ideal for battery-operated systems.